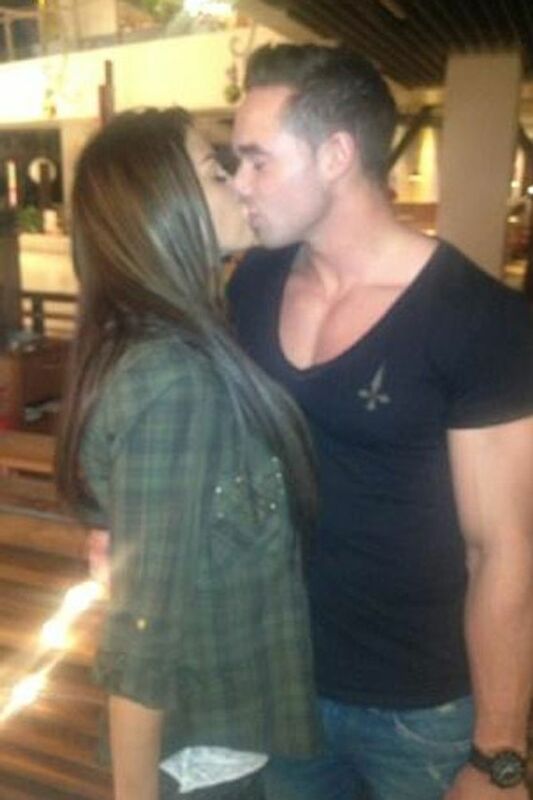 Katie Price doesn't have the best track record with her exes in terms of staying friends. It may have something to do with the frequent digs she makes in the press. Latest in the firing line? Peter Andre for making like Simon Cowell and messing with his shoes to look taller. Katie Price has claimed that her ex-husband Peter Andre stuffs his shoes in order to look taller. The glamour girl was talking about a picture of Daniel Radcliffe speaking to a taller girl when she took a rather unsubtle swipe at the father of two of her children. Pete is a fairly respectable 5ft 8in compared with Daniel's unfortunate 5ft 5in, so whether it's true or not is up for debate but either way we imagine she said it hoping to irritate. This certainly isn't the first time Jordan's done things to get 40-year-old Pete's back up. Back in March, Katie tweeted a photo of the couple's daughter Princess with straightened hair - something she knows Pete doesn't like. The 34-year-old captioned the pic: "Wow look how long Princesses [sic] hair is when blow dried straight she loves it." The pair had a fight over it back in 2010 because Peter felt their daughter was too young to be exposed to beauty regimes. Peter addressed some of his ex-wife's public jibes in a recent episode of his show, Peter Andre: My Life. As the cameras were rolling, Pete found out that Katie had issued a statement in response to reports he had spoken negatively about her recent wedding to Kieran Hayler. But Pete responded: "I don't want to read anything that she's saying to be honest. It's just typical." "I hate getting involved in this sh*t. I haven't said a word." Doesn't seem like Katie's got the same idea about keeping quiet about her ex-husband. Oh love, aren't you happily married to someone else now...?